One of my favorite things about summer is tomatoes, tomatoes, and more tomatoes! They grow extremely well in my little patio garden and I love finding new recipes to use them in. 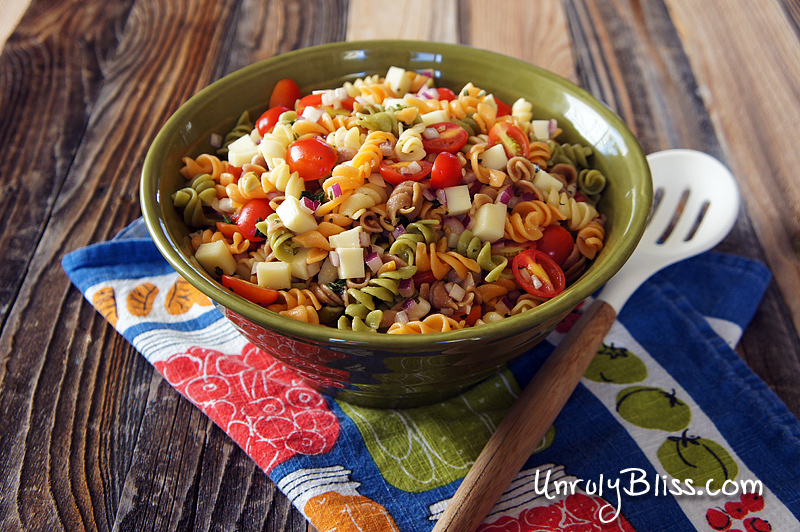 I started making this pasta salad over a year ago and I used to have to buy every ingredient but now the only things I actually purchase for this salad are the fusilli noodles (someday I’ll make my own pasta!) and onions (these do not grow so well for me). 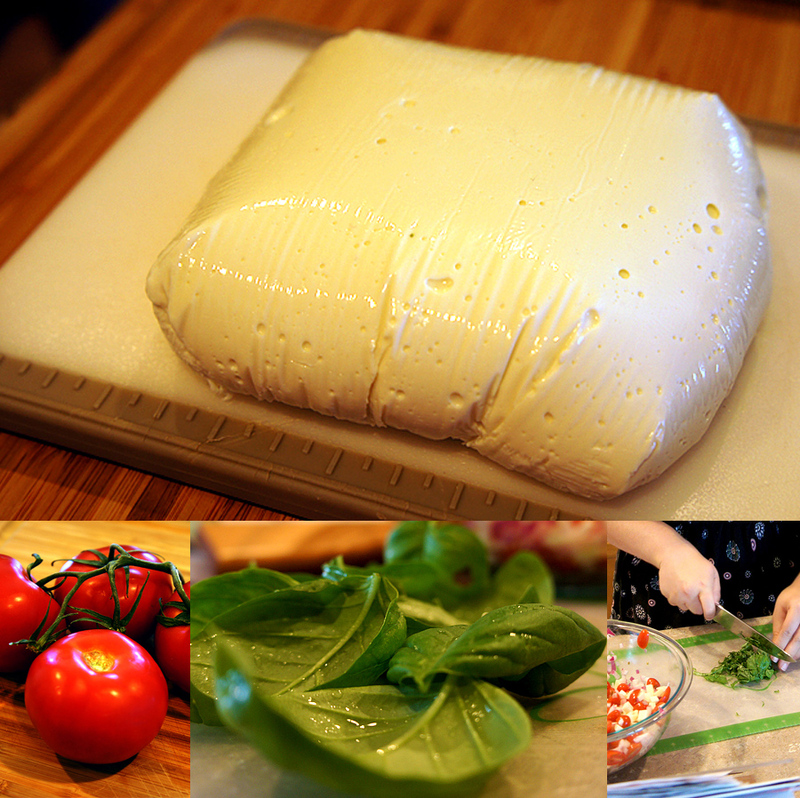 I get the tomatoes and basil from my garden and my husband makes the mozzarella! Yep, he makes the mozzarella. It’s actually really easy and you can make twice as much for about four dollars than what you can purchase at the store for about nine dollars. And homemade cheese doesn’t have any extra ‘stuff’ in it to preserve its shelf life. 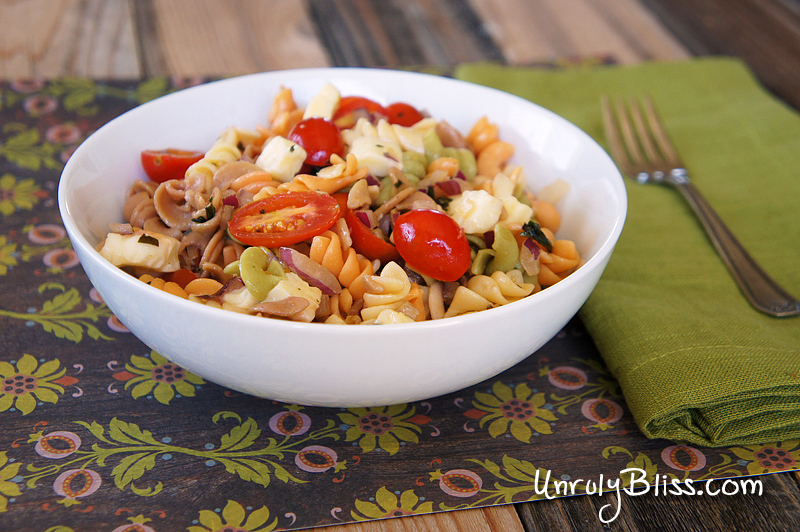 This pasta salad is one of my absolute favorite dishes and it definitely up there in my top ten most made recipes. Cook the pasta according to its specified directions. Drain the pasta and move it into a large serving bowl. Drizzle it with olive oil and sprinkle with salt. Toss to coat the pasta evenly. 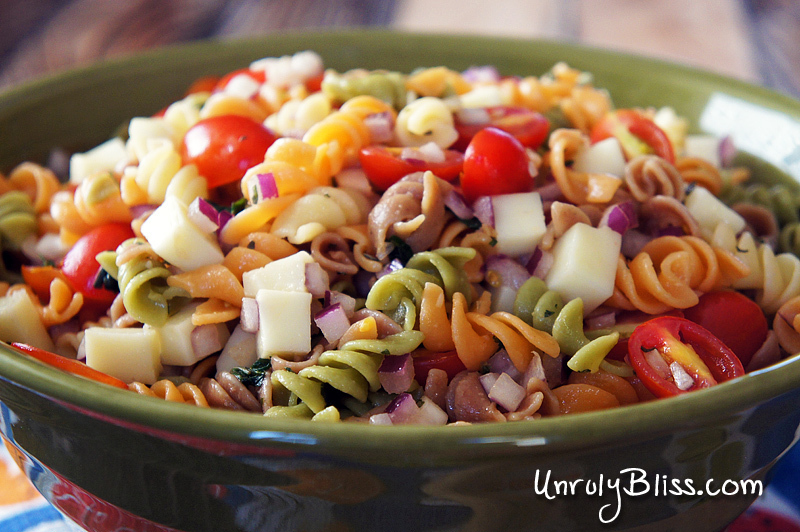 Add some balsamic vinegar for a take on a caprese pasta salad.